Developed for the U.S. Department of Energy's Office of Fuel Cell Technologies by Argonne National Laboratory and RCF Economic and Financial Consulting, Inc., JOBS and economic impacts of Fuel Cells (JOBS FC) is a spreadsheet model that estimates economic impacts from the manufacture and use of select types of fuel cells. JOBS FC uses input-output methodology to estimate changes in industry expenditures, and calculates the ripple effects of those changes throughout the economy. The following figure illustrates the types of transactions anticipated to support fuel cell manufacturing and deployment in early markets. JOBS FC maps transactions to economic sectors represented in the RIMS II (Regional Input output Modeling System) model to estimate resulting impacts on employment, earnings and economic output. An annual number of fuel cells to be produced, imported and exported for the selected geography in the years 2015-2020. Users electing to run a national analysis also must choose whether to calculate gross impacts or both gross and net impacts. Gross impacts are the jobs, earnings and economic output attributable to fuel cell production and use. Net impacts are the result of subtracting from the gross totals the jobs, earnings and output that are displaced by fuel cells. Employment results are reported as job years (i.e., one year of work for one person). The difference between gross and net employment results is shown in the following illustration. JOBS FC must be run in Microsoft Excel 2010® for full functionality. The model is available as an open-source software package copyright by UChicago Argonne, LLC. Prior to downloading the model, users must register. Revisions to the prime power module to reflect more detailed expenditure breakdowns developed by Oak Ridge National Laboratory. Addition of a new module to estimate economic impacts associated with building a new prime power manufacturing facility. 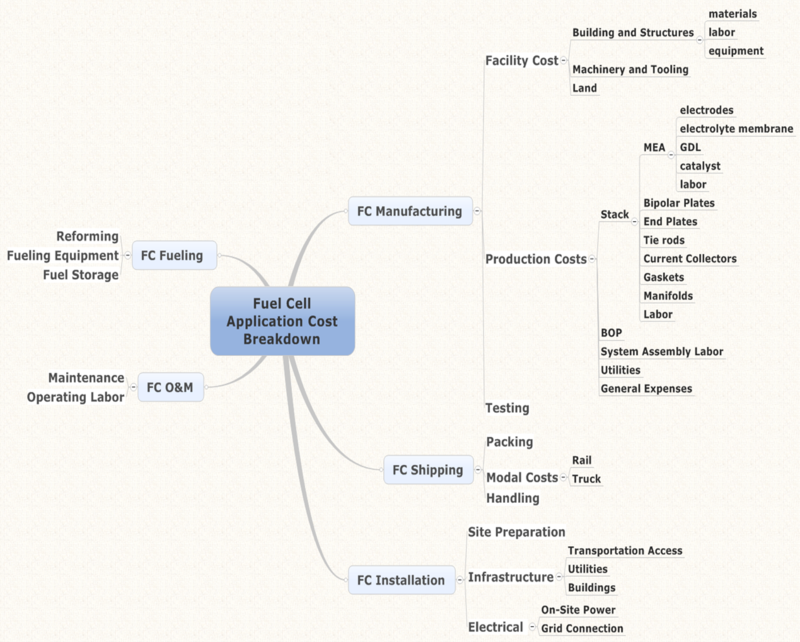 Revisions to the fuel cell manufacturing cost forecasting function.